I would like to warmly welcome Honey and Pig to Haute Whimsy! 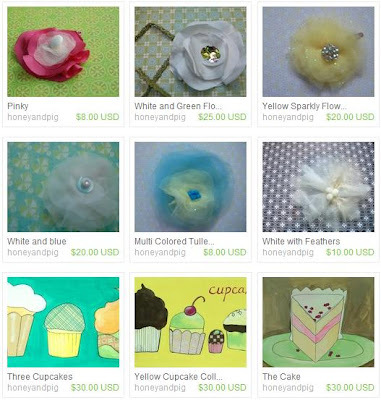 Kate creates gorgeous hair pins and paintings, which are showcased in her Etsy shop! I especially love her "Llama Llama" painting! What beautiful images - thanks for sharing! I love her things....thanks for sharing Jen! !